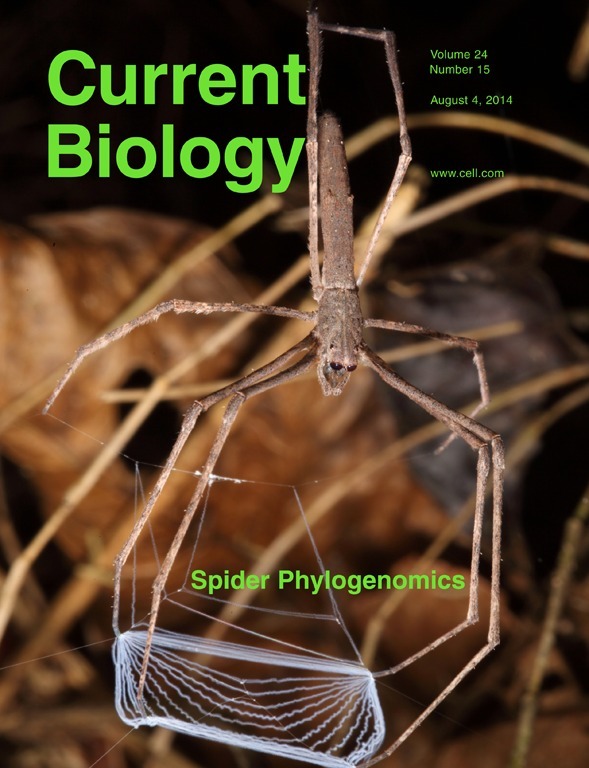 Our research on spider phylogenomics, led by the Bond Lab at Auburn University, was just published in Current Biology. We used transcriptomes for about 40 spider families to mine orthologous genes, then conducted a battery of phylogenetic analyses on these very large molecular matrices. The biggest surprise is the non-monophyly of orb-weaving spiders – cribellate orb-weavers (e.g., Uloborus, etc) are not sister to ecribellate orb-weavers (e.g., araneids, etc). This result suggests that orb webs evolved early in spider evolution, but have been subsequently lost in a majority of derived lineages. Non-model genomics enabled by next-generation sequencing is rapidly impacting arachnology …. I can’t wait to see what happens over the next few years!